Driving the Nürburgring is a dream for many motoring enthusiasts the world over. For those of us who don’t live on the right continent getting yourself to Germany is the easy part. Finding someone to let you thrash a car around the famous Green Hell is another thing altogether. Hiring a car from a traditional company such as Hertz, Avis and the like is not recommended. Apart from the insurance risks there are often spies hired by such companies lurking around the Touristenfahrten gates who will report back to head office if they see any of their cars at the Ring. Even with an unblemished car you could be in for some nasty surprises when handing the car back at the end of your trip. It’s simply a headache not worth considering. So, what to do? Well, luckily there are Nürburgring friendly car hire alternatives that greatly reduce the risk and exposure to nasty repair bills. Compared to a couple of days hire from your favorite multinational rental outlet these Ring-friendly options aren’t cheap. But I reckon the price is worth paying for the peace of mind offered. AUSringers: Firstly, can you please tell me more about your business, when did you start, how many staff do you employ and so on? 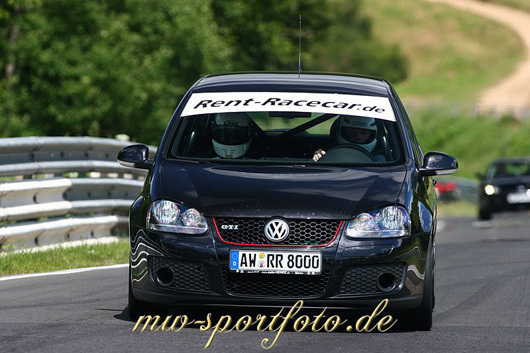 Rent-RaceCar: The business started in 2005/2006. We rent cars set up especially for the Nordschleife. 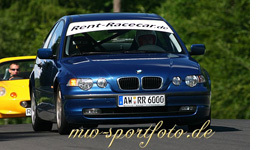 Our cars have improved brakes, rollcage and racing seats with suspension by Bilstein and KW. 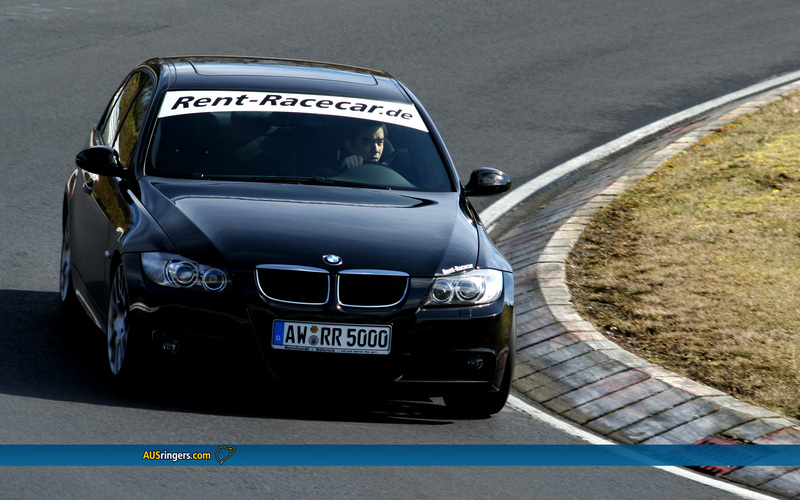 Above all, we offer peace of mind with insurance policies covering the Nordschleife. We have three staff. Ar: You seem to have quite a few cars in your fleet, are there plans to add more new cars? RR: Yes, we aim to add more cars to our fleet. How many exactly will be determined by the demand. Ar: Your cars must live a very hard life, how long would usually keep a car in service before it is retired or sold on? RR: Our cars are checked over after each rental (tyres, oil, brakes, etc). Each car is kept in our fleet for about two years. Ar: All your vehicles are modified, are they suitable for a person driving the Nordschleife for the first time? RR: If a person has never driven the Nordschleife, or limited track experience, our BMW M3 or Porsche Cayman S may be a bit overwhelming. Ar: You also offer driver training, do many clients take this on and who gives the tuition? RR: The tuition is undertaken by professional, race-experienced, instructors and we also have English speaking instructors available. Ar: Are there any restrictions on who you will hire your cars to? RR: Yes, there are limitations, the minimum age of the driver must be 25 years old. However, the minimum age increases to 30 years for the BMW M3 E92, BMW135i and Porsche Cayman S.
Ar: All your cars include insurance, if a driver has an accident are there any costs or charges that would not be covered? 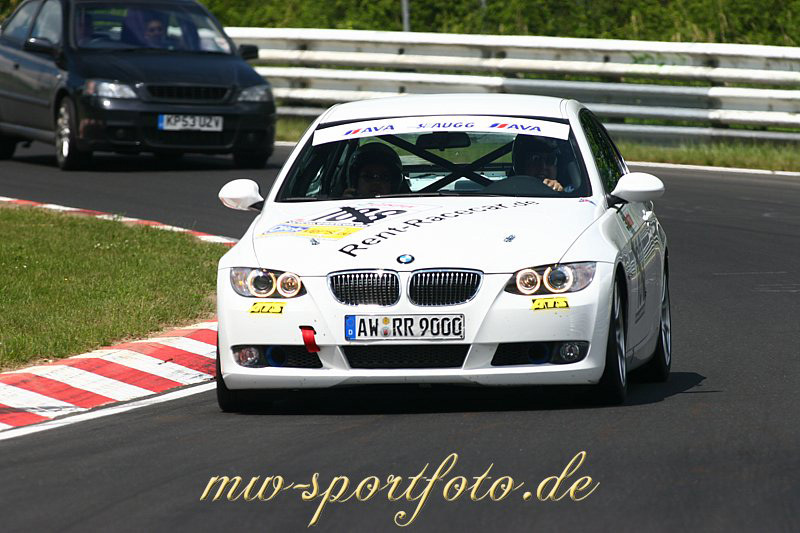 RR: All of our cars have an insurance policy covering the Nordschleife. Depending on the car a charge may be payable in the event of an accident, but is limited to a maximum sum. Ar: Do your prices include fuel and tickets for Touristenfahrten laps? RR: Most costs are included in our rental fee, including helmet hire. However, fuel and tickets for the Nordschleife are not included. We do offer a Race-Pack for all our cars, where lap tickets and petrol are included. Ar: You have a limit on the number of kilometres drivers can do in their time with your cars, do many people pay extra to do more laps? RR: Some of our customers drive more kilometres, but most customers are happy within the kilometre limit. Ar: Can you please explain why you place limits on the amount of kilometers that can be driven with your cars? RR: The Nordschleife is a very demanding track, and the wear and tear of the cars is very high. Experts say that 1km driven on the Nürburgring is about as much as 12 kilometres on a normal road, or even higher for professional drivers. Ar: What sort of briefing do you give your drivers, is it just verbal, or do you take your clients for a lap around the track first? RR: Our customers receive a briefing for the rented vehicle, and a briefing on the security requirements of the Nordschleife. 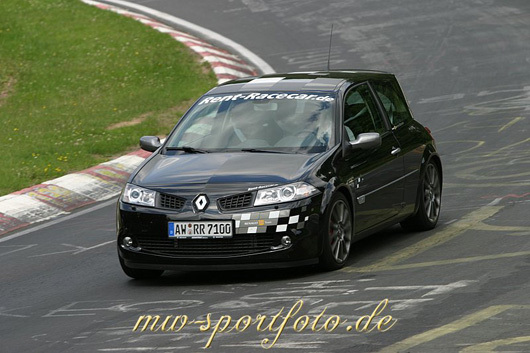 If a customer is new to us, and/or new to the Nordschleife we will take them out for a sighting lap. 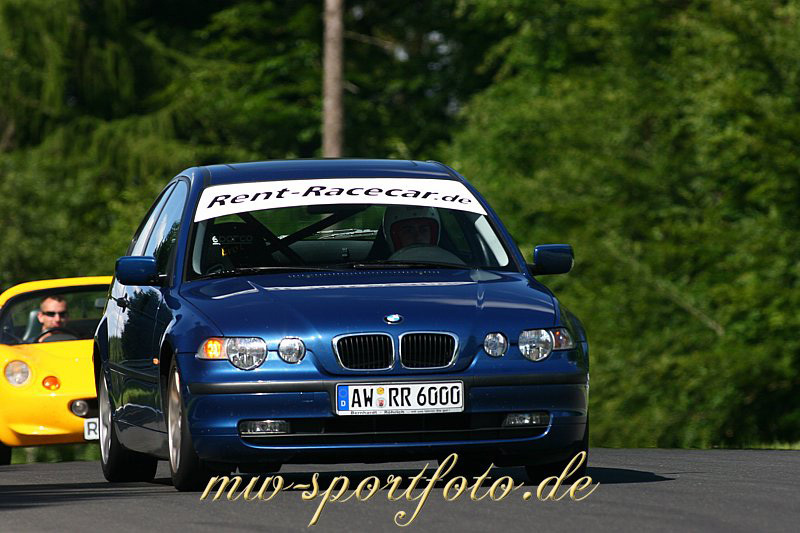 Ar: You are based just outside of Nürburg, when you have your cars out on the track do you have anyone based at the Toursitfahrten gates to offer advice and help to your clients? RR: We are very close to the Nürburgring (about 3 km), if a customer should have a problem, we can be on site in just a few minutes. Ar: Is there any one car that is more popular than the others in your fleet? RR: This varies, but the demand for our Golf GTIs and the BMW 325ci is always very high. Ar: Do people need to book a long time in advance to secure the car they want? RR: On weekends, it is better to book cars in advance. That way you will have a better chance of securing the car you want. Ar: Do you have a lot of clients from outside of Europe, or are they mostly people who live closer to Nürburg? RR: Yes, we have many customers from outside Europe, and we really enjoy welcoming customers from around the world. So there you go. Sounds like an option well worth considering for those of us who live too damn far from Germany! Thank you once again to Heide for helping out and don’t forget to find out more by checking out the Rent-RaceCar website. You can also click on the image below for a 1920x1200px wallpaper image. Brilliant! Something I’ll need to investigate before heading over there! Nice one Roger. Keep us updated if you get some track time. Hired a Golf GTI from Rent Racecar last month for my first Nurburgring experience and was very happy. Now just need to find a way to convince the wife to let me go back.